To Pay or Not to Pay : Among the first things people ask when shopping for a mortgage loan is: What’s the interest rate? The answer is often a percentage rate with points—for example, 4.5% plus 2 points. Here’s what those points are all about. What’s the advantage to the borrower to pay points in addition to interest? By paying points, borrowers can get a lower interest rate—a discounted rate. In other words, borrowers pay points to “buy down” the mortgage interest rate, reducing their long-term interest expense on the loan. It is certainly possible to take out a mortgage without paying points. In fact, many borrowers opt to do so if they are short of cash for their home purchase or they don’t expect to own the home for long. But for many people, getting a lower interest rate is worth the up-front payment of at least some points. What confuses many loan shoppers are the different combinations of rates and points available from lenders. Is a 4.5% loan with 2 points, for example, a better deal than a 5% loan with no points? That depends. Paying one point may get you a 1/8% to 1/4% drop in interest rate, depending on the current market. If the going trade-off is 1/4%, then our example loans are comparable. Still, one of those loans may be better for the borrower’s financial circumstances. Here’s how to know when paying points pays off. For illustration purposes, say you pay 2 points ($2,000) on a $100,000, 30-year mortgage to get a 4.5% interest rate. Your principal-and-interest (PI) payments would be $6,080 per year. If instead you took a 5% loan paying no points, your annual PI payments would be $6,442—$362 more per year. You would, however, have to own the home about 5 1/2 years for your savings to pay back your $2,000 up-front points expense ($2,000 Ã· $362 = 5.53). But what if you move sooner? You’ll lose more money in points than you’ll save with the lower-rate loan. Consider, too, you could have taken the higher-rate, no-point loan and invested your $2,000 elsewhere. Another factor is how your tax bill will be affected. Paying less interest means a smaller mortgage-interest tax deduction, reducing the real savings achieved by buying down the rate. On the other hand, points are tax deductible in most cases. Consult IRS Publication 936 for further details. Paying points may be a great idea if you own your home for a while—how long depends on how much difference in interest rate your points can buy. If 2 points could buy you a larger drop in interest rate (rather than the 1/2% we calculated earlier), you could recoup your cost in a shorter time. If you owned the home in our earlier example for the full 30 years, your PI savings would be around $8,850 (not factoring in tax implications). 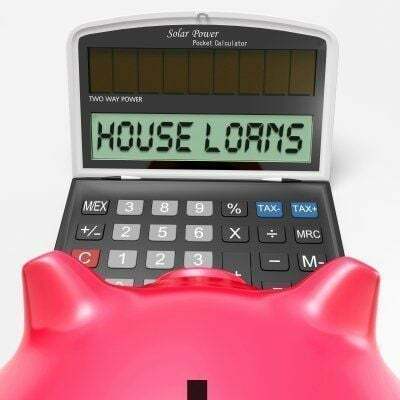 If you think paying points is a sound choice but you are short of cash, you may be able to roll the points into your mortgage loan. In our example, you would finance $102,000 at the 4.5% rate.